A Bishops' Conference or an Episcopal Conference or a Conference of Bishops is an official assembly of all the bishops of the Catholic Church in a given nation or territory, within which the bishops carry out their pastoral, liturgical and catechetical mission. The Slovenian Bishops' Conference (SBC) is the highest institution of the Catholic Church in the Republic of Slovenia, whose ecclesiastical authority covers the territory of the Republic of Slovenia. Its membership includes all local ordinaries and auxiliary bishops who are carrying out their special mission within the boundaries of their dioceses, all within the territory of the Republic of Slovenia. President of the SBC Archbishop Mons. Stanislav Zore OFM. Msgr. Andrej Saje, Ph. D., (2003–2013). The Slovenian Bishops' Conference was founded February 19, 1993. Until then, Slovenian bishops were members of the Yugoslav Bishops' Conference (YBC), together with the bishops in the other republics of the former Yugoslavia. The Slovenian Regional Bishops' Conference was founded within the YBC on June 20, 1983. The Slovenian Bishops prepared a proposal for the Statute of an independent Slovenian Bishops' Conference at their meeting on July 25, 1992. Pope John Paul II (1978-2005) approved the Statute February 19, 1993, in agreement with the norms and prescriptions of the Canon Law, after obtaining a positive recommendation from the Congregation for Bishops and the Section for Relations with States of the Secretariat of State of the Holy See. The Congregation for Bishops issued a decree formally establishing the SBC on February 20, 1993. The Church in Slovenia was thus given a more solid legal foundation and greater independence. Pope Benedict XVI reorganized the Church in Slovenia on April 7, 2006, by forming three new dioceses, with seats in Celje, Murska Sobota and Novo mesto, and by elevating the Diocese of Maribor to a Metropolitan Archdiocese. The newly nominated bishops and archbishop were inaugurated in May and June 2006. Justice and Peace Commission (JPC) is the working body of the Slovenian Bishops' Conference (SBC) for the areas of social justice, peace and respect for human rights. It examines open and pressing issues, investigates and treats issues regarding social justice, peace and respect for human rights in the Republic of Slovenia and outside. JPC also works with the Commissions for Justice and Peace of the European and Other Bishops' Conferences and maintains regular contacts with the Pontifical Council for Justice and Peace in Rome. Its efforts also include cooperation with other organizations, movements, and institutions with similar purposes and spirit. The Justice and Peace Commission was founded along with the other councils of the Slovenian Provincial Bishops’ Conference on September 24, 1985. It was approved at the meeting of the Slovenian Provincial Conference in Maribor on November 19, 1985. The foundation became legally binding on January 1, 1986. The Justice and Peace Council at the Slovene Provincial Bishops' Conference began to exist and act. From 18 to 20 October 1985, then President Anton Stres first participated in the enlarged meeting of the European Justice and Peace Commissions in Cartigny near Geneva. The Council held its first meeting no earlier than on October 3, 1986. There were three members in the beginning: L. Snoj, A. Stres and J. Vidrih. On September 2, 1987 the Justice and Peace Council was renamed to Justice and Peace Commission. B. Košir, M. Lavričand I. Štuhec joined it the following year. The membership remained the same until the end of the first term, on January 1, 1991, when the members of the Commission were the following: L. Gosar, D. Klemenčič, B. Košir, D. Smrdel, A. Stres, I. Štuhec, A. Žerovnik. Simultaneously, other experts were also invited to the meetings. 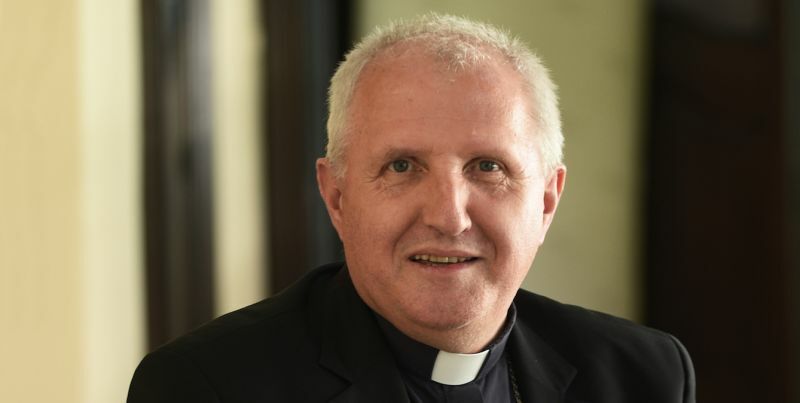 In its second term with recognition of the Slovenian Bishops’ Conference the Justice and Peace Commission also won the position of a national commission and thus full membership in the Conference of European Justice and Peace Commissions. In this sense, the Statute and the Rules of the Commission, which were approved by the Slovene Bishops' Conference on February 21, 1994, were also completed. These are, however, only the external facts. In terms of content, the work of the Commission reflects primarily in the statements for the Slovenian and international public that were collected in a printed form for the 10th anniversary of the Commission's existence (1995). Its statements reflect the concern of the Slovenian Catholic community regarding the respect for human rights and the democratization of our homeland. The Commission had the honour to work in one of the most crucial periods of the Slovenian nation and actively participate in the efforts to democratize the Slovenian society. 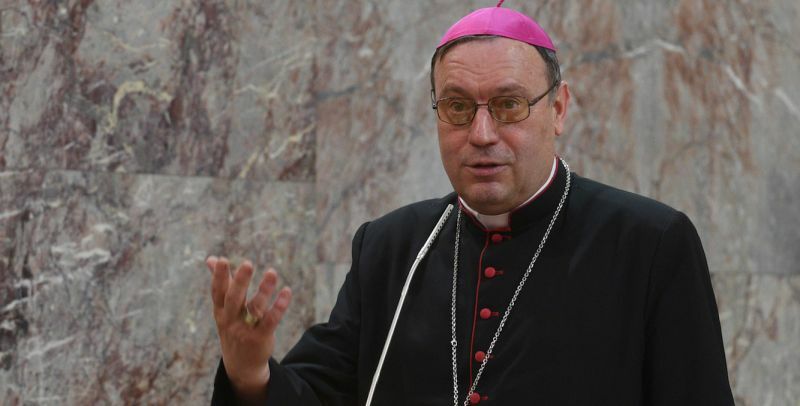 It encouraged the Slovenian Catholics to work for social justice and expressed the semi-official positions of the leadership of the Slovenian Catholic Church regarding the issues that have sometimes been scorching. On the 10thanniversary of the Commission's operation, the then President Msgr. Dr. Anton Stres wrote: "How right were the Slovenian bishops when they founded the Justice and Peace Commission a decade ago, although in the beginning, it was only a commission at the provincial conference of Slovenian bishops. Soon after its foundation, the democratic awareness in Slovenia was rapidly awakening and asserting. The Catholic Church, together with some other religious communities, was the only area exempt from the direct leadership of the ruling party and its members, refusing to yield to its monopoly, suffered greatly. By this very fact, the Catholic Church was at the forefront of democratic aspirations. The Justice and Peace Commission consciously adopted this Church mission and engaged in defending human rights and social justice. From the very beginning, the members of the Justice and Peace Commission were clearly aware that their task was not only the defence of the rights of the Church and its members, although it was not possible to avoid those loads. However, the rights of the Church and its members are only part of the common human rights and can be protected only in a democratic social environment. This environment has yet to be established. In fact, freedom, democracy, social justice, and mutual respect are never completed tasks, therefore, the mission of the Justice and Peace Commission is unlimited." From 1986 to the present day, JPC has prepared and published 114 statements.